Play is a serious business; it should be a fun, enjoyable activity, which stimulates the development of mind and body. A good pre-school gym experience can provide social, physical, lingual & intellectual, creative & emotional awareness and improve concentration, competence & confidence. 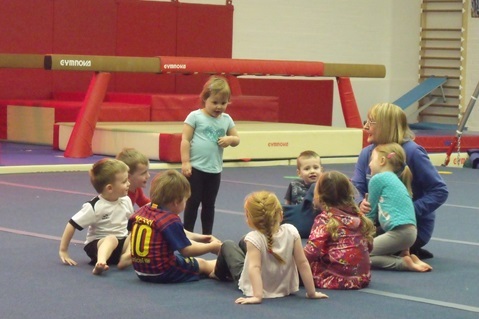 The British Gymnastics ‘FUNdamental movement for early years' programmes help to improve balance, co-ordination, social and educational skills providing under 5's with a quality physical movement experience. Participants learn how to use different objects to help them practise basic skills such as walking (running) rolling, hopping, jumping, throwing and catching. They are encouraged to use imagination on adventures, in fairy stories and listening and moving to nursery rhymes, songs and music.